Information about Scottish flush away stool sample collector. HyStool® - flushable stool sample collection device. HyStool® is the simple to use flushaway device for collecting stool samples for medical tests. It dissolves 100% in cold water. Simply flush away after use. HyStool® is a Scottish invention devised by Andrew Fraser in 2015 to address the poor uptake of the NHS Bowel Cancer Screening test. In 2015 the Scottish NHS bowel cancer screening test gave the advice of catch your stool on a piece of paper in your hand. Andrew decided against taking that advice and set about coming up with an invention that would make providing a stool sample as easy and hygienic as possible. Several paper based stool collection device prototypes followed before Andrew came up with the idea of a bespoke collection device made from pva (polyvinyl alcohol). This collector is easy to use, totally biodegradable and quickly dissolves in cold water. The invention was initially called the “fifty plus bag” because of the 50 age set in Scotland when the bowel cancer screening test is first distributed. For Home or Hospital use. Subsequent research highlighted the fact that there was a worldwide requirement for a simple hygienic stool sample collection device that can be used at home or in hospitals. The Scottish invention of the fifty plus bag is the solution to that problem. The name was changed to HyStool® to reflect that it was not just suitable for those over 50 to use in Scotland for bowel cancer screening, but it is in fact, a hygienic collector that could be used worldwide for bowel cancer, Crohn’s disease, colitis and other medical conditions. HyStool® is the most hygienic stool collection device. 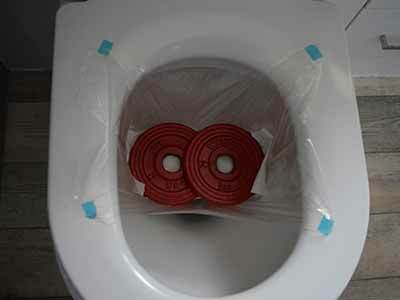 Our collection bag is simply attached to the toilet seat or toilet rim. 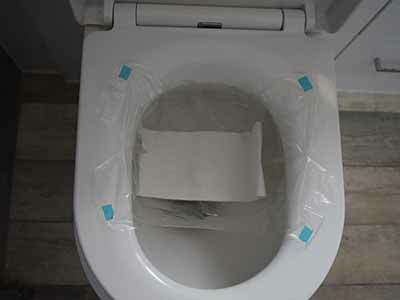 It is not fitted inside a potentially contaminated toilet bowl. The faeces sample is simply taken from the bag using a bowel cancer / crohns disease collector. Once the sample is taken the hystool bag is simply flushed away. Unlike most paper based collection devices HyStool® dissolves 100% in a matter of minutes. HyStool® is a registered trade mark and all rights are reserved. Patent pending. 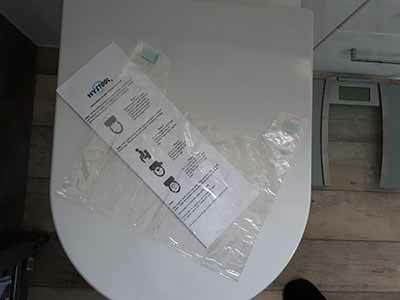 HyStool® is a bag .. it has sides to hold a stool .. it is attached to a toilet seat /toilet rim rather than being placed by hand inside a potentially contaminated toilet bowl… it leaves space at the front of the toilet bowl so that accidentally dischaged urine will “hopefully” not go in the bag. HyStool® is cleaner, more hygienic and less likely to be affected by cross contamination than other stool collection devices. 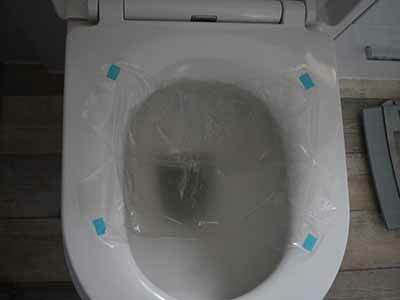 It is biodegradable, environmentally friendly and will simply flushaway after use. The resultant consistency is better for laboratories as it ensures greater accuracy of test data with fewer test errors. HyStool® could easily be included as part of a medical stool sample screening test kit without increasing postage costs or requiring additional packing. It has been designed so that it is small enough to fit inside a bowel cancer screening test envelope. It is light enough that it would fit in that testing kit without increasing the postage costs. HyStool® is hygienic in that the patient does not have to reach inside the toilet bowl to attach or remove the device. It is easy to use, completely biodegradable and eco-friendly. It can be safely flushed away, and unlike some “flush away” products, HyStool® will dissolve completely in cold water in a matter of minutes. We currently sell HyStool® in packs of 2 or 4 bags for home use but HyStool® can easily be flat packed or placed in dispenser boxes for use in hospitals, clinics or care homes. HyStool® is now available for sale. To buy HyStool® with “Paypal” use the button below.